Tired of looking so – well – tired? Botox is an effective and attractive anti-aging treatment that diminishes wrinkles around the forehead and eyes. Both men and women as early as their 20s are coming in to get Botox injections in order to fight off the formation of lines and wrinkles or to simply look the best version of themselves. Read below to learn more about what sets Skin Perfect Medical Aesthetics apart from other medical spas and then contact us to request a Botox consultation. By preventing muscle contractions, the targeted facial muscle groups can relax which allows the skin over them to smoothen, diminishing fine lines and wrinkles. 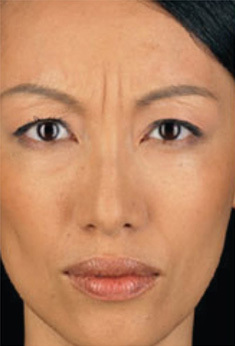 In some cases, with repeated treatments the wrinkles can actually disappear. 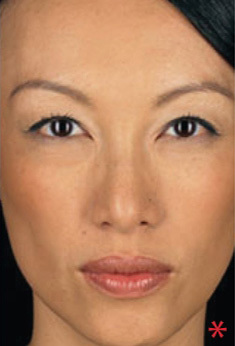 Botox can also give patients the appearance of a minimal brow lift. 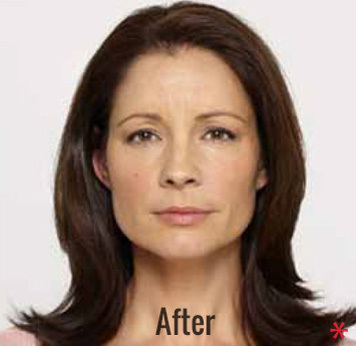 Botox is FDA approved and can be easily injected in less than an hour. The results are immediately visible and there is no downtime necessary after treatment. Plus, there is no need to commit to an invasive surgical treatment such as a facelift; results begin to dissipate after three or so months. And there is no harm in receiving routine treatments for lasting results. These are just some of the reasons why Botox is one of the most popular anti-aging treatments in the United States. Not only is Botox extremely effective at diminishing the appearance of dynamic wrinkles around the forehead and eyes, but it is also a useful preventative tool. Since Botox works by stopping the contraction of muscles that create deep creases, it’s use will also prevent lines from forming or becoming worse. For this reason, some people begin getting Botox injections as early as in their 20s. Furthermore, Botox is attractive an attractive anti-aging treatment because it is non-surgical and requires no downtime. It’s perfect for people who want to look younger, but don’t have the time to spend recovering from procedures such as a facelift or eyelid surgery. It’s also great for those who want to avoid anesthesia, the dangers associated with surgery, or do not want to commit to a permanent procedure. Additionally, Botox is not only used for cosmetic purposes; it can also be used to treat a variety of physical issues. At Skin Perfect, we offer Botox injection in order to treat hyperhidrosis, or excessive sweating. The injectable solution works in the same way, stopping the nerve signals and reducing the amount of sweating. Treatment for Botox is fast. Appointments are so quick and easy that they can be scheduled during a lunch break. When patients arrive for their scheduled appointment, they will be given the option of receiving a topical anesthetic. Although most patients consider Botox injections relatively painless – similar to a slight pinch or a pinpoint of pressure – the option is available for patients who wish to maximize comfort. If patients do choose to receive a topical anesthetic, they will have to wait 10-15 minutes for the anesthetic to take effect before treatment. Each of our expert Botox providers have their own methods of minimizing discomfort. In general, most patients find that all they require is some ice and a stress ball. The provider will mark the injection sites on the patient’s face, depending on the patient’s points of concern. Then, they will inject Botox into these sites in order to block the nerve impulses in that area. The injections can take less than 15 minutes. After the treatment, patients will be free to resume their regular routine and may reapply makeup around the injection sites to cover up any redness. While there is no recovery period associated with Botox injections, patients may experience a few minor side effects. The most common side effects associated with Botox injections include redness, bruising, or slight swelling. These side effects will disappear on their own within one to two days and can be easily covered with makeup. In order to reduce the appearance of side effects, we suggest that patients avoid taking anti-inflammatory medications, including aspirin and ibuprofen, two weeks prior to and after their procedure. We advise taking Tylenol during this period to aid in any discomfort. 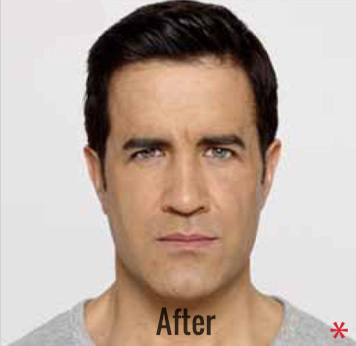 Our doctors take pride in producing effective, yet natural results while using Botox. Patients will still have full range of motion of their face. Wrinkles will however appear noticeably diminished, providing a refreshed and younger looking aesthetic. 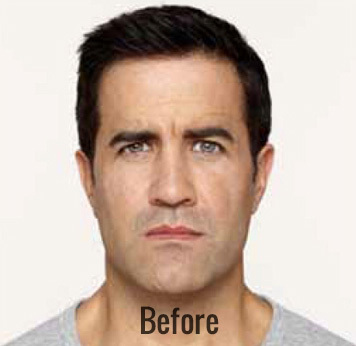 The results of Botox are immediately visible and continue to improve over the course of three to seven days. We ask all patients to return for a follow-up appointment two weeks after their treatment. At this time, our provider will confirm that the patient is satisfied with their results. 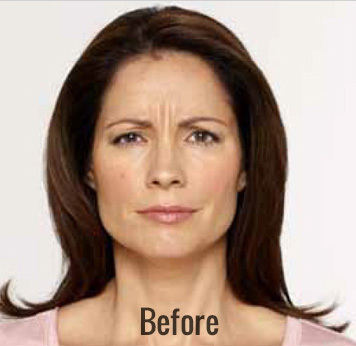 It is important to keep in mind that the results of Botox will not last forever. The effects will wear off after approximately three months. At this time, additional injections will be necessary to maintain results. In some cases, repeated treatments will actually make wrinkles begin to disappear. While Botox is quite effective at treating dynamic lines and wrinkles around the forehead, eyes, and nose, it cannot treat all signs of facial aging. For example, it is not effective for treating lips and cheeks that have lost volume or deep facial wrinkles such as nasolabial folds and marionette lines; dermal fillers are best to treat these more stubborn facial concerns. In some cases, a combination of Botox and dermal filler injectables may be best suited to fit a patient’s needs. Below are the dermal fillers we offer at Skin Perfect. Belotero: This hyaluronic acid filler is designed to smooth the appearance of fine lines and wrinkles around the nose and mouth. Juvéderm: Juvéderm, another hyaluronic acid filler, is used to treat fine lines and deep creases around the nose and mouth, including marionette lines and nasolabial folds. Radiesse: Radiesse is a calcium-based filler that fills wrinkles around the nose and mouth and adds volume to the skin, meanwhile stimulating the body’s natural collagen production for natural volume. Restylane: Restylane is also a hyaluronic filler that can be used to diminish fine lines and wrinkles around the mouth and nose. Restylane Lyft: The specific composition of this Restylane product is used for adding volume to sunken features such as the lips and cheeks. Sculptra: Sculptra is a long lasting synthetic injectable that promotes collagen growth for diminished wrinkling around the nose and mouth. In order to determine whether or not one of these injectables would be beneficial in addition to your Botox treatment, please request a consultation at either of our two So-Cal locations today. We request that all new Botox patients come in for a consultation at either our Whittier or Rancho Cucamonga office prior to scheduling a Botox appointment. The majority of our patients are in their 30s and 40s. However, there has recently been an increase in the number of patients coming in for Botox treatments in their 20s to prevent the future formation of lines and wrinkles. There has also been a higher number of men coming in for Botox treatments, as it is not only women who are conscious of their appearance. During the consultation, patients will have the opportunity to discuss their areas of concern and why they are interested in Botox treatments. In some cases, the expert injector may recommend a combination of treatments, such as the addition of dermal fillers, in order to achieve the patient’s aesthetic goals. Dysport is also a similar product to Botox that we offer and during the consultation the medical practitioner will be able to help the patient decide whether Botox or Dysport is right for them. Although we primarily offer Botox for cosmetic reasons, our doctors are happy to speak with patients about their non-cosmetic needs, such as hyperhidrosis, as well. At the time of the consultation, the doctor will be able to provide the patient with an accurate cost estimate for their treatment. At Skin Perfect, we do not charge according to the amount of product utilized, like most other medical spas. Instead, we charge per area treated. Furthermore, if the medical practitioner determines that the patient’s results could be improved upon during the post treatment evaluation appointment, scheduled within two weeks of treatment, then we will perform a one time complimentary touch up. When considering cost, patients should keep in mind that the effects of Botox do not last forever. If they wish to maintain the effects, they will have to return for regular injections every three to four months. Stop looking so tired and start waking up looking alert and ready to tackle the day! Get started by requesting a consultation by contacting our Rancho Cucamonga office or our Whittier office today.